For more than 50 years the market for blood thinner medication in the US market was very slim. Warfarin dominated the market with no other real options to choose from. It wasn’t until 2011 when the FDA approved the new medication Xarelto when the market landscape for blood thinner medication really changed. Xarelto was considered revolutionary upon release because a user only had to take one pill a day. This led to Xarelto selling over a billion dollars worth of product in just two years. But like most blood thinners, Xarelto induced a number of serious bleeding side effects. And unlike Warfarin, there is no antidote to help stop the bleeding caused by Xarelto. However, unlike most blood thinners, Xarelto’s manufacturers are being accused of misleading the public on their medication. 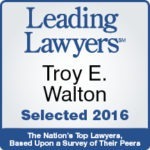 Walton Telken is now taking cases for clients who believe they have been seriously injured while taking Xarelto. Walton Telken advises anyone using blood thinners to avoid Xarelto. What are the side effects of Xarelto? To understand why the side effects of Xarelto can be so costly is to understand what Xarelto does. Rivaroxaban, Xarelto’s scientific name, disrupts the formation of thrombin — an enzyme which helps catalyze the blood clotting process in humans. This in term “thins” out the blood and makes it easier to flow in veins. This medication is effective for people who are at risk of stroke, heart attacks or any other disorder involving blocked arteries. Xarelto has also been used to treat people with atrial fibrillation (A-fib). Why are there lawsuits against Xarelto? The manufacturer of Xarelto overstated the efficacy of Xarelto with respect to preventing stroke and systemic embolism. And failed to adequately disclose to patients that there is no drug, agent or means to reverse the anticoagulant effect of Xarelto. The lack of an antidote can cause permanent disability and even fatal consequences. The manufacturer of Xarelto also failed to accurately warn and inform patients of the associated risk of a hemorrhage (bleeding) events while using Xarelto. The hemorrhagic events include gastrointestinal bleeding, severe anemia requiring blood transfusions, and hemorrhagic stroke. Do I need a Xarelto attorney? If you or a loved one have experienced have suffered a bleeding event while taking Xarelto, Walton Telken is here to serve as your Xarelto Attorney so you know your legal rights. Our attorneys believe drugmakers failed to adequately test, research and study Xarelto and were negligent in not providing an antidote like Vitamin K. If you believe you qualify, call 618-272-2284 today for a free consultation.